Interpol have shared new track ‘The Weekend’ and announced the upcoming EP ‘A Fine Mess’. Check out all details . After the surprise release of the title track ‘A Fine Mess‘ back in January, now the NYC trio have announced the release of a five track EP in the run-up to their packed summer festival schedule. The latest offering comes with ‘The Weekend’, another new track following on from the dark and raucous mood of 2018’s acclaimed ‘Marauder‘. 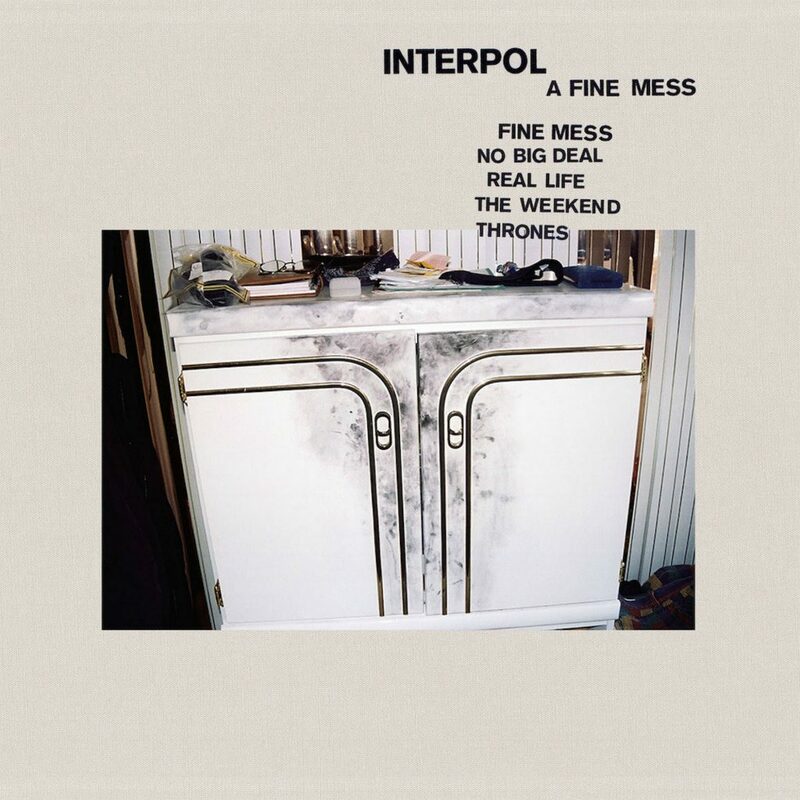 Following their successful Australian tour, Interpol have released a new single. Due for release on May 17th, the EP was recorded during recent downtime in Upstate New York with Dave Fridmann. So with the band so engaged, will we hear more new material in the near future? “I don’t know if we’re going to step into the world of doing a series of EPs,” Banks added. “I think it’s more likely that the next thing we do will be a full-length record, but who can say? We don’t actually have any concrete plans beyond this EP.” . Among the five new songs is ‘Real Life’, which was aired on the band’s ‘Turn On The Bright Lights’ 15th anniversary tour back in 2017. The band have a celebrated history of renewing old rarities and releasing them, however it sounds like their isn’t too much left in the vault. Interpol’s latest album ‘Marauder’ is out now on Matador Records.